Derek Dammann was raised in Campbell River, BC, the salmon capital of the world, where he began his culinary career as a dishwasher at the Great Steak Company. 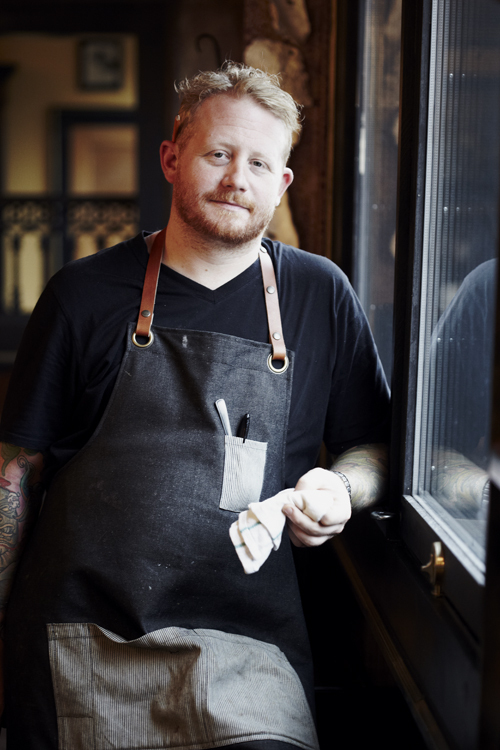 After studying cooking in Nanaimo, Dammann worked in one of Canada’s great Italian restaurants, Zambri’s, in Victoria, before making his way to the UK to work with Jamie Oliver at his restaurant, Fifteen. After four years in London, and stints at St. John and the Michelin starred The Fat Duck, Derek came back to Canada to run Jamie Oliver’s catering business. Damma settled in Montréal, where he opened DNA; one of the most exciting nose-to-tail dining establishments in North America. Inspired by the old fashioned pubs of London, he partnered with Jamie Oliver once again to open Maison Publique, a hugely popular and highly regarded gastropub in Montreal’s Le Plateau neighbourhood.